Philippine English is the variety of English (similar and related to the American English) used in the Philippines by the media and the vast majority of educated Filipinos. English is taught in schools as one of the two official languages of the country, the other being Filipino. Code-switching is prevalent in informal situations. Sub-varieties of Philippine English or Philippine Englishes are emerging based on the regional location and thus linguistic influences of the speakers. Philippine laws and court decisions, with extremely rare exceptions, are written solely in English. English is also used in higher education, religious affairs, print and broadcast media, and business. Most educated Filipinos are bilinguals and speak English as one of their languages (see List of countries by English-speaking population). Still, for highly technical subjects such as nursing, medicine, computing and calculus, English is the preferred medium for textbooks, communication, etc. Very few would prefer highly technical books in the vernacular. Movies and TV shows in English are usually not dubbed in most cable channels except a few such as Tagalized Movie Channel. Because English is part of the curricula from primary to secondary education, many Filipinos write and speak in fluent Philippine English, although there might be differences in diction and pronunciation. Most schools in the Philippines, however, are staffed by teachers who are speakers of Philippine English and hence notable differences from the American English from which it was derived are observable. Philippine English traditionally followed American English spelling and grammar, except when it comes to punctuation as well as date notations. For example, a comma almost never precedes the final item in an enumeration (much like the AP Stylebook and other style guides used in the English-speaking world). Except for some very fluent speakers (like news anchors), even in English-language media, dates are also often read with a cardinal instead of an ordinal number (e.g. "January one" instead of "January first") even if the written form is the same. This is mostly because educated Filipinos were taught to count English numbers cardinally, thus it carried over to their style of reading dates. In military-style (or sometimes officialese) date notation (e.g. 1 January) the American standard is mostly followed, that is "one January". Tautologies like redundancy and pleonasm are common despite the emphasis on brevity and simplicity in making sentences; they are common to many speakers, especially among the older generations. The possible explanation is that the English language teachers who came to the Philippines were taught old-fashioned grammar, thus they spread that style to the students they served. Examples are "At this point in time" and ".. will be the one ..." (or "... will be the one who will ...") instead of "now" and "... will ..." respectively - e.g., "I will be the one who will go ...", rather than "I will go ...". 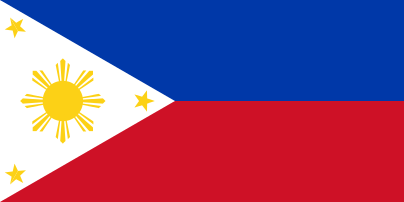 Most of the native Malayo-Polynesian languages of the Philippines do not contain the [f] phoneme. Thus, some Filipinos substitute [p] for [f] when they pronounce English words containing [f]. Some even pronounce English words that normally do begin with [p] with an [f] through hypercorrection due to confusion over which pronunciation is required. Like [f], the [v] sound is also virtually non-existent in most major native languages of the Philippines. Partly because modern Spanish does not distinguish between [b] and [v] (both being pronounced as [b] and, intervocalically, as [β]), some of the older generation of Filipinos would pronounce the letter [v] in all English words as [b]. Languages of indigenous minorities that had limited contact with the Spanish colonial government often retain the [v] sound. The [f] sound also occurs in some of them. Examples are the Ivatan language, Ibanag language, and languages of the Lumad tribes in Mindanao and Visayas. All of them are minor indigenous languages of the Philippines. The Ibaloi tongue in the Baguio-Benguet area of Northern Luzon also has naturally occurring [f] and [v] sounds, as in sifa (interrogative who) and divit (a traditional wrap-around skirt). The modern spelling of the name of one of the most numerous ethnic groups of the Philippines, the Manobo tribes of Mindanao, is actually the hispanized spelling of the original Manobo word Manuvu. Some of the other sounds that Philippine languages lack include [ɪ], [æ] and [ʌ]; only a few still retain [ə] (most notably Kinaray-a in Panay Island). The sound [ɪ] (/i/ in "brick") is replaced with [i] (/y/ in "happy") so the pronunciation of the words "bit" and "beat [bit]", "hit" and "heat [hit]", and "fill" and "feel [fil]" would be the same, respectively. The [θ] and [ð] sounds in all words are also absent in these languages, so they are pronounced [t] and [d] instead as a sign of th-stopping. Others hypercorrectly sound th in Thai, Thomas, etc. as [θ]. Words such as "back" [bæk] and "buck" [bʌk], "cat" [kæt] and "cut" [cʌt], and "pass" [pæs] and "pus" [pʌs] respectively would also have the same pronunciation since [a] (/a/ in Filipino word "alin"), [æ], and [ʌ] are not distinguished and all would be pronounced as [a]. Except for [ʌ], this is similar to speech of some speakers of English language in northern England, Scottish English, Ulster English, and Irish English. The ur ([ɜr]) in some words like current, hurry, and murder is sometimes realized as ([ar]), thus they sound like carrent, Harry (or hari = king), and marder respectively; the first two are common in British or Commonwealth English. Some speakers also realize [æ] as [ɛ] instead, so bad and bed are homophones. With the exemption of [ə] sound in word endings "ble", "fle", and "ple" which are replaced with [o] (/o/ in Filipino word "uso"), [ə] in "cle", "dle", "gle", "tle" is either replaced with [e] (/e/ in "egg") which is more commonly used or [o]. Google [ˈɡuɡ(ə)l] would be read as [ˈɡuɡel] and handle [ˈhænd(ə)l] would be [ˈhandel]. Also depending on the spelling as Filipinos read based on how the word is spelled, "travel" [ˈtræv(ə)l] would be [ˈtrabel], "computer" [kəmˈpjutər] as [komˈpjuter], and circle [ˈsərkəl] read as [ˈsirkel] or [ˈsirkol]. These prove the absence of syllabic consonants in their native phonology. For that reason, the endings -cion, -sion, -tion rhyme like Shaun/Shawn (locally /ʃon/ "Sion/Syon"), which is somewhat similar with non-native pronunciation of English by speakers of Romance languages. Depending on the schwa that represents the e or i in a word, it may also be replaced by [e] or [i] respectively, thus stir and steer are homophonous. The schwa in unstressed affixes is sounded with its full equivalent vowels instead, so that the -ace/-ase əs in "surface", "purchase", -ate [ət in some words like "private" and usual pronunciation of "candidate", -ain in "mountain", "captain" (and -ane in "Brisbane"), and -age/-ege [ɪdʒ] or [ədʒ] in "marriage" rhyme with "ace", "pain/pane", "eight", and "age" respectively, or not deleted in some affixes but still sounded fully, namely -ary, -ery, -ory, -mony, -erry, that is why words like "history [ˈhistori]" and "mastery [ˈmastɛri]" are pronounced that way. Likewise, the second o (schwa sound) in "Catholic" and "sophomore" are not elided as a form of epenthesis, even in careful or casual speech. Some other words and affixes like -ile and -ine are pronounced mostly like in British and Commonwealth English and some other speakers of Canadian and/or American English, thus "missile/missal" and "hostile/hostel" are not homophonous. In addition to the schwa, the /ɪ/ or /e/ in -es/-ess is pronounced with the full vowel instead, thus it sounds like ess (the letter S, [ɛs]). This feature is also somewhat similar with non-native pronunciation of English by speakers of Romance languages. Many Filipinos have a difficulty with some initial-stress-derived nouns, so "complex" and "compound" sound alike whether as a noun or not. A phenomenon among the older generation of Filipinos is their pronunciation of all the English words starting with s + consonant such as star, spade, stampede, slide, stigma, statue, sky, stable, strict, and stew. These words are pronounced by some of them as "istar/estar", "istampede/estampede", "istigma/estigma", "istatue/estatue", "istable/estable", "istrict/estrict" and "istew/estew" because these older people were exposed to the Spanish language and were used to the Spanish system wherein there are no words starting with s + consonant, but instead es + consonant. Thus, estrella (star), estampida (stampede), estigma (stigma), estatua (statue), estable (stable), estricto (strict) and estofado (stew). As mentioned earlier, this phenomenon is called epenthesis. Another phenomenon is pronunciation by some speakers of the digraph qu before e and i in some words like conquest, liquidity so that they would be conkest and likidity to an English speaker's ear. Consequently, the silent e or any other letter in French-derived words and names, namely, the endings -que and -tte (in Nicolette) are pronounced respectively -ke and -te, not -k and -t. Again, this is a result of exposure to Spanish. Another issue is suprasegmentals. In pronunciation, emphasis often tends to be put on the wrong syllable of a word (such as emphasizing the second syllable of "advocacy", "category", "celibacy", "ceremony", "delicacy", etc. instead of the first) or on the wrong word in a sentence as compared to North American English or British English. This issue is likely rooted in the aforementioned Spanish (Castilian) influence and often occurs with English words with Latin (and indirectly Spanish) roots. However, this is not the case for many fluent Anglophone speakers, who learn to pronounce and emphasize the proper stress correctly, mostly with help and guidance from their teachers or tutors. Despite this, some of these underlying mistakes remain in those speakers. In fact, the stress of syllables and even pronunciation vary in many words. For example, adult may be pronounced with the stress either on the first syllable (as in British/Commonwealth) or the last (as in American). Likewise, miscellany is usually stressed on the second like in Britain, not in the first and miss-a-Laney as pronounced in the United States. Some place names like Moscow and Glasgow have the second syllable rhyming with low, not now; in fact, the local pronunciation of Moscow, Idaho by North Americans is identical to pronunciation of the Russian capital by Commonwealth and Irish speakers. Essentially, words and place names in English present in every Filipino's vocabulary may have varying degrees of stress and enunciation, mostly influenced by US speech and partly, indirectly by the UK via Southeast Asian neighbors that were once British colonies or by innovative pronunciations. See American and British English pronunciation differences for words Filipino speakers usually pronounce when they are familiar with them or encounter them. Yod-coalescence is also very common in certain stressed syllables of words in Philippine English. This turns the clusters [dj], [tj], [sj] and [zj] into [dʒ], [tʃ], [ʃ] and [ʒ] respectively in certain words unlike standard American dialects which drop the yod. Words like dew, tune, and tube become pronounced as /ˈdʒuː/ (Jew), /ˈtʃuːn/ (Choon), and /ˈtʃuːb/ (Chube). Yod-coalescence in stressed syllables occurs in Australian, Cockney, Estuary English, Hiberno-English (some speakers), Newfoundland English, South African English, Scottish English, Welsh English, and many other varieties of English in the rest of the Commonwealth of Nations (except Ireland). Word-initial [j] also coalesces with word-final [d/ð], [t/θ], [s], and [z], giving the same effect as the clusters mentioned earlier, so "sees/seize your" and "pass(ed) your" sound like "seizure/seashore" and "pasture". Non-coalescence and yod-dropping can be possible depending on the fluency of the speaker, however, in the [sj] sound of some words like consumer and pharmaceutical, for example. As mentioned above, the schwa is featured in some Philippine languages. Among mother-tongue speakers, the phonology of Philippine English almost completely resembles that of the North American variant with flapping observed on some speakers in Metro Manila (thus, Philippine English is a rhotic accent) while the speech of those who are not native speakers is influenced to varying degrees by indigenous Philippine languages. Since many English phonemes (such as [f] and [v]) are not found in most Philippine languages, pronunciation approximations are extremely common. The above list applies mainly to monolingual Filipino-language-speakers; a number of other indigenous languages, mentioned previously, employ phonemes such as [f], [v], and [z]. This form of mispronunciation, caused by the limited sound inventories of most Philippine languages compared to English (which has more than 40 phonemes), is generally frowned upon by Anglophone Filipinos, in particular, and businesses dealing with international clients. Philippine Englishes are hypothesized local varieties of English within (standard) Philippine English. The concept was formally introduced by a linguist in his working paper Philippine Englishes: A timely or premature call?, although evidences of it have already been surfacing in the recent years with Ma. Lourdes Bautista's Yaya English, and other Englishes such as colegiala English and bargirl English. The most recent evidence of this is Dr. Rey John Villanueva's 2016 dissertation on the features of Philippine English across regions. An influx of foreign students, principally from South Korea, has also led to growth in the number of English language learning centers, especially in Metro Manila, Baguio City and Metro Cebu. Recently, the Spanish Ministry for External Affairs and the Japanese government decided to hire speakers of the Philippine English as Language Assistants for their own respective countries. ↑ Espinosa, Doray (1997). "English in the Philippines". Global Issues in Language Education. Language Institute of Japan (26): 9. Retrieved March 13, 2011. ↑ Rowthorn, Chris; Bloom, Greg (2006). Philippines. Lonely Planet Country Guide (9th ed.). Lonely Planet. ISBN 978-1-74104-289-4. ↑ "Tagalized Movie Channel on SKY". philstar.com. The Philippine Star. 23 November 2014. ↑ Isabel Pefianco Martin (April 12, 2008). "Fearing English in the Philippines". Philippine Daily Inquirer. Retrieved March 13, 2011. ↑ Examples: . "So if they see policemen about to conduct a security survey, they should ask me first because I will be the one who will know about it. They will have to talk to me,", "Security survey for Lapu banks suggested". Philippine daily Inquirer, citing Cebu Daily News. March 17, 2008. Retrieved 2008-09-03 ; . "If I will be the one who will talk and explain, that will be self-serving,", Anselmo Roque (January 18, 2007). "Ecija school faculty bares university exec's mess". Philippine Daily Inquirer. Retrieved 2008-09-03 ; . "Whoever wins on the issue of secret balloting will be the one who will win the speakership,", Norman Bordadora (July 22, 2007). "Arroyo can deliver SONA sans Speaker—Salonga". Philippine Daily Inquirer. Retrieved 2008-09-03 . ↑ "Wilkinson Daniel Wong Gonzales". ↑ "Wilkinson Daniel O W Gonzales - National University of Singapore - Academia.edu". ↑ Gonzales, Wilkinson Daniel Wong (8 September 2016). "Philippine Englishes: A timely or premature call?". doi:10.13140/RG.2.2.28626.96962. ↑ BAUTISTA, MA. LOURDES S. (1 January 1982). "Yaya English". Philippine Studies. 30 (3): 377–394. JSTOR 42632617. ↑ Villanueva, Rey John Castro (1 January 2016). "The Features of Philippine English across Regions" – via Library Catalog (Koha). Lerner, Ted. Hey, Joe, a slice of the city - an American in Manila. Book of Dreams: Verlag, Germany. 1999. Philippine English, by Tom McArthur.